display song lyrics in [Google] search results,” according to a Billboard report. The partnership was announced on Monday, which on the same day resulted in a new Google feature: When you search for a song’s lyrics, Google shows a large portion of those lyrics at the top of the results. Google’s move into the lyric business will generate a new and “significant” stream of revenue for music publishers and songwriters, according to LyricFinder chief executive and cofounder Darryl Ballantyne. Founded in 2004, LyricFind has “amassed licensing from over 4,000 music publishers” and provides lyric licensing and online services across 100 countries, according to its website. 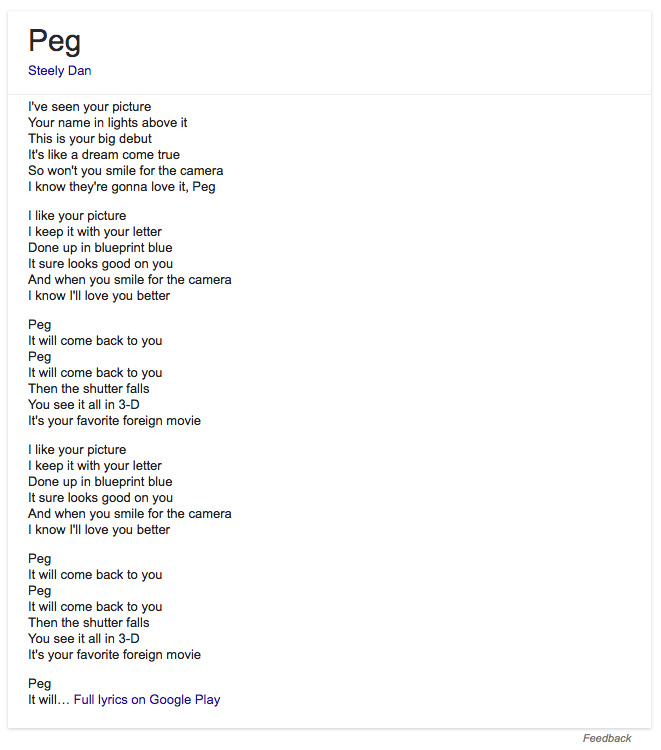 GoogleA search for ‘steely dan peg lyrics’ reveals a large portion of the song’s lyrics. 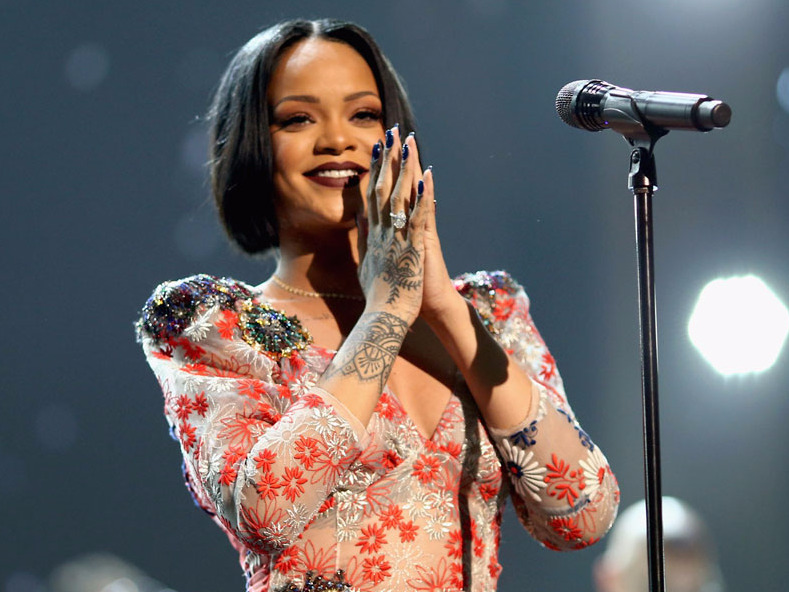 As Billboard notes, the company’s partnership with Google in this new feature will likely have a significant impact on users’ click-through rates to licensed lyric sites like AZLyrics.com, as well as to the slew of unlicensed sites. 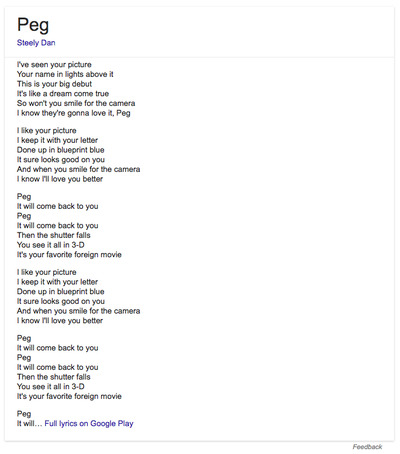 Google’s move may also hurt Genius, which has been building up its community of users who annotate song lyrics.